In a busy life schedule, washing machine takes an important place in our home. Choosing the best washing machine for your home quite to be a tough job. A variety of functions and capacity available in the washing machine. Also, multiple brand and models of washing machines available in India. It becomes difficult to choose the best one as per the requirements. Hence, we list down top 5 best washing machine in India and buying guide. It will help you to choose the best washing machine for your home. Before buying a washing machine will provide some basic information about washing machine related. Washing machines diversify by three features, there are-load, capacity and function. 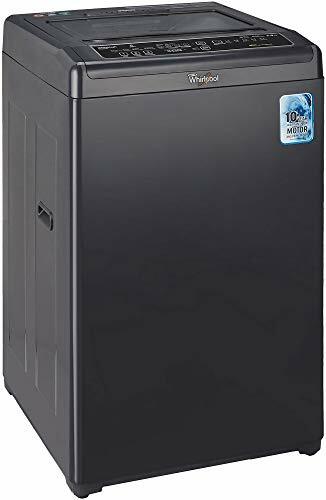 What To Look For When Buying A Washing Machine in India? Top loading washing machine: If you are on a tight budget, then choose a top loading washing machine. Because of top load models are available in a range from Rs. 7k to 17k. The main advantages of this model are you can add missing clothes in mid-cycle. Front loading washing machine: The front-loading washing machines is very expensive compared to the top load washing machine. But these are worth it. The equipped with advanced features and more wash programs. Front load machines clean your clothes very efficiently. Also, less noisy. So, we conclude, for the large family, you can go with a front load washing machine. If you are a student, couples or a small family of 2-3 members then top load washing machine will be good. In the automatic washing machine comes in two types: Fully automatic or Semi-automatic. Semi-Automatic comes in wider size and they have a two different partition like washer and dryer. After complete washing cycle, you need to transfer your clothing in the dryer manually. Its price range is too much low so, everybody afforded. Fully automatic washing machine crafted with sleek design and its entire washing process is automatic. Do not require to transfer your clothes to another portion. Its entire process is automatic. Child Lock: Its child lock system prevents your child any hazardous situation during the washing cycle. Delay Start: With these features, you can set the timer whenever you finish your wash. As well as set delay washing process 1 to 24 hours. Simply to say, delay start means delay start of the wash cycle. Digital DIsplay: Digital display clearly show the information about wash cycle. Maximum Spin Speed of 1400 rpm. Suit to a large family. Needs 60 litres of water. 4 years warranty on product and motor. If you are looking for a large capacity fully automatic washing machine with a lot of smart features, then IFB Senator Aqua SX 8 kg is for you. IFB is an Indian brand that designs very well for Indian customers. It provides a user-friendly LCD display which offers you to select a wash program ease. The smart design structure washing machine effectively removes germs, fungi, bacteria, unpleasant smell from the clothes while washing. This wonderful device operates smoothly. The IFB Senator Aqua SX offers 100 wash programs and a maximum of 2200 watts of power for a better wash.
What makes so interesting is the device presence millions of air bubbles in the air bubbles wash system for effective cleaning. Its 3D wash mechanism uses nozzles to circulate the water 360 degrees around the drum. One more advantage, You can also add some extra clothes midway through the wash by simply pressing the pause button, and press on to start again. For the Hygiene and Safety Programs provides tub clean facility to get rid of germs and all impurities from the washing machine. 2 year warranty on the product with 10 years on motor. The fully automatic front loading washing machine has come in the best brand from Bosch. Its 15 minutes setting timer helps you to wash your clothes very speedily. Compared to other branded models the consumes 20% less electricity. 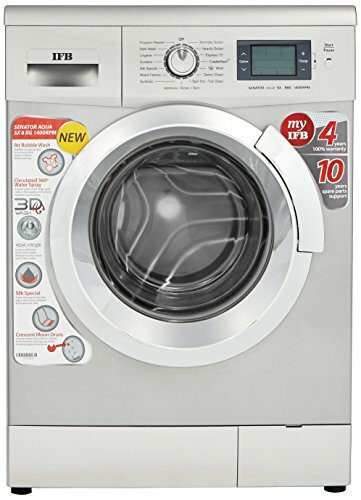 The front load washing machine is energy efficient and offers 12 washing programs for ease of operation. AntiVibration machine noise level is only 54 dB. Its variorum features allow heavy duty washing of clothes, distribute detergent properly, save water and reduces soaking time. For the hygiene concern, the detergent drawer is cleaned automatically with the help of self-cleaning function which ensures a healthy life. Also, support all types of clothes such as cotton, synthetic, fabric, wool etc. Time Delay 24hrs function helps you to set the timer between 1 to 24 hours so, you have a not need to observe and spend your worthy time for the end of complete washing. Also, its reload functions allows you to door open during the cycle to add or remove clothes. Save energy, water and time. LED display and foam detection system. The washing machine falls under the category of the fully automatic front load. This is another best quality model from a brand of LG. It comes with a maximum Spin Speed of 1000 rpm and 6 kgs of tank capacity. Hence, it is much better used for bachelors, couples and small size family. A crafted with a sleek design with a fully waterproof touch panel. It’s 6 motion DD technology features allows wash drum move in multiple directions for better performance. On an average, takes 59 minutes to complete regular wash cycle. Body is made of high-quality rust-resistant plastic material. The powerful washing machine washes all types of fabric effectively. Its LED display brings greater visibility to set washing performance. There is also Smart Diagnosis System, Babycare and many other features. Overall, the good and capable of detecting unbalanced loads. 700 rpm of rotational speed. Sleek and stylish design structure. 2 years on product, 10 years on the motor warranty. Yet another model from the same brand LG which comes with fully automatic top load washing machine. Its very convenient to use for all kinds of clothes like cotton, silk, fabric, wool and much more. The machine has a Punch plus 3 pulsator washing mode (hot, warm, cold). During the wash cycle, BMC motor completely prevents block out dust, insects and humidity. Also, its transparent window enables you to see what is happening inside. It is fitted with large LED display to convenient to use. Its smart diagnosis system reduces service calls and also saves time and money because of that effectively communicates with the computer and solve the problem in seconds. In addition to featuring smart inverter motor which reduces noise, less vibration and improves wash quality. Also, it cleans clothes without any damage. Turbo drum efficiently removes the toughest dirt from the clothes. To conclude, the performance of the LG front load washing machine is too good. Built-in 6th Sense 1-2-3 technology. Powered by 6th sense technology. The elegant look washing machine has come from most of the popular brand, whirlpool. Its 7 kg capacity suit to 3 to 4 members. The smart detergent technology ensures the right amount of detergent which able to save your detergent. As per the test results, the express wash technology surly washing is done in 50 % faster. Automatically cleans the lint from the lint filter with the help of smart lint filter. There is intelligent hard water software sufficiently remove hard detergent and provides soft bright clothes. Execute with various modes like Normal, Spin Only, Delicates, Speedy, Heavy and Extra Rinse. The provides portable wheels to move one place to another easily. In the 6 motion direct drive includes rolling, swinging, tumble, filtration, scrubbing and stepping that clean your clothes without causing any damage. As the end of, Whirlpool has a number of features that make it worth the money spent. Furthermore, The Whirlpool washing machine provides a warranty of 2 years warranty on the product as well as the motor. Made up of high-quality plastic. Make your clothes hygienically clean. 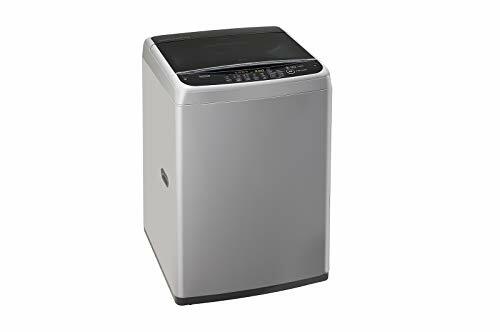 The Samsung WA62M4100HY/TL 6.2 kg Top Load Washing Machine is a suitable washing machine for families with 2 or 3 members, couples and bachelors. The washing machine washes and dries out the clothes very quickly with help of little electricity. A stainless steel diamond drum ensures a powerful washing performance and its small size holes to protect your clothes against trapped and damaged. The maximum RPM of this washing machine is 700 rpm and consumes 380 W of power. With its Eco Tub Clean technology makes your washing machine clean and fresh without using harsh chemicals. A transparent glass door will let you see the wash process inside the machine. The outer body of this washing machine is made of durable rust resistant PP material. Multi-Directional water flow is evenly distributed detergents by the quadra flow system. Also, which helps to clean, rinsing and spinning your clothes efficiently. Magic filter collects the lint, fluff and particles from the clothes and you will get laundry-type washing at home. The manufacturer provides 2 years comprehensive warranty on product. Suitable for bachelors & couples. If you want to buy a sleek design with a small capacity of washing machine then it for you. Its capacity is only 5.8 kg and that suit bachelors and couples. 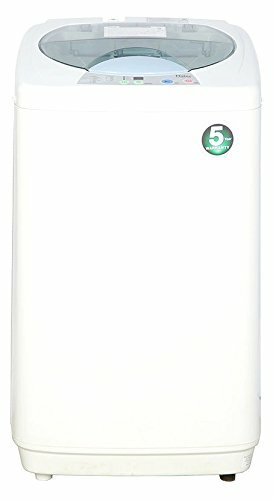 The Haier top load washing machine offers 6 washing programs to wash all types of clothes. Time delay feature allows setting time from 30 to 24 hours. The equipped with Quadra flow pulsator technology to gently wash your clothes. Also, its quick wash function washes your clothes very quickly and save your time. Including features like digital display, fuzzy logic control, 6 washing programme and two lint filter that all are helps to clean all type of fabric very efficiently and delicately. In that 6 washing programs including standard, jeans, quick wash, gentle, wash and spin. All wash cycles minimum completed in an hour. 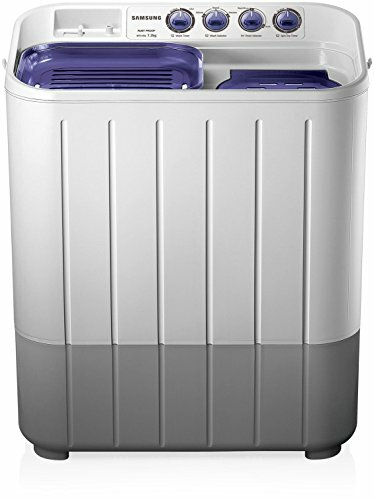 The provides multi purposes tub which will able to washing and drying in one tub. Its fuzzy logic control measures clothes weight when the device is turned on. Overall, you will improve the fabric quality after each wash and provides long-lasting performance. This product comes with a 2 years warranty on product and 5 years on the motor from the date of purchase. Ideal for 3 to 4 members. Special scrub board to scrub the clothes. 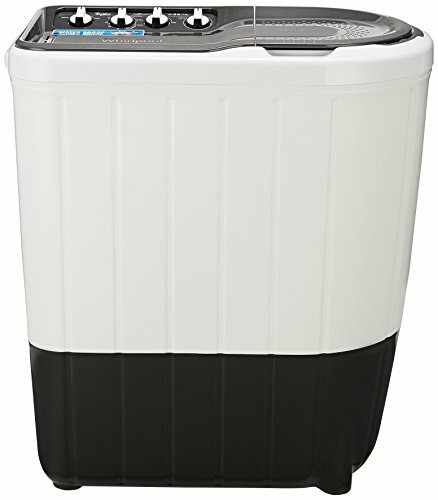 The budget-friendly semi automatic top load washing machine has a 7.2 kg capacity. The familiar for 3 to four members or small family. 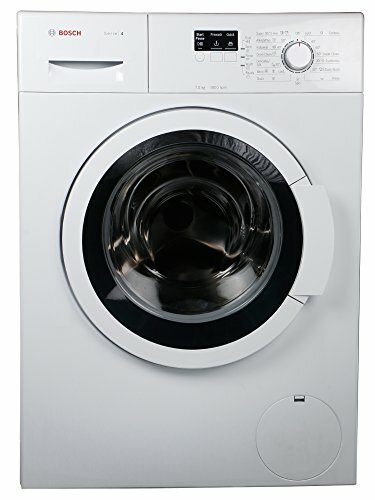 Samsung WT725QPNDMP Washing Machine covered three wash settings like Gentle, normal and heavy. Moreover, the washing machine soaked clothes around 20 to 30 minutes. Also, take a 15 minute to washing time for perfect washing. This device does wash and dry both work at a time. As there are special scrub boards which makes pretty clean clothes after washing without damage. Including lint filter accumulate all tiny lint and foreign substances to prevent any blocks in the pipes. Buzzer system informs you your washing cycle is done. The inbuilt scrubber to render a standard hand wash result on the clothes to remove stubborn stains from the clothes. Amazing warranty 2 years on product and 5 years on the motor from the manufacturer Samsung. Doesn’t have a detergent box. Two-inlet pipe to hot and cold water. 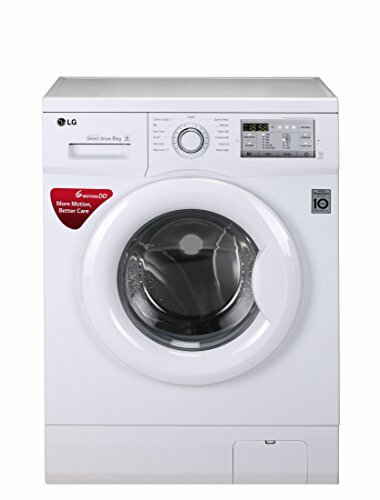 Another pretty good option to buy Semi-Automatic Washing Machine, this is LG P7550R3FA. The machine has 3 different wash programs, they are- Gentle, normal and heavy. The safe for every fabric type. The washing machine is made of a durable plastic body that stays life along. With its roller jet pulsator, you get a laundry washing experience at home. This washing machine also includes collar scrubber for scrub your cuffs and collars efficiently. 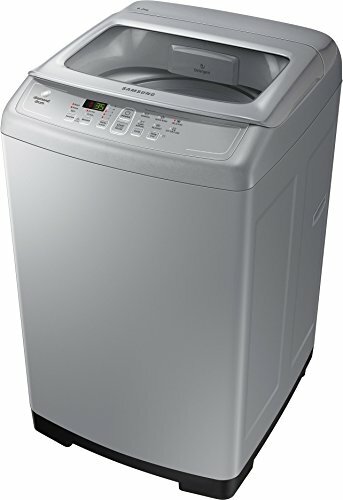 This washing machine takes approximately 30-40 minutes to complete the entire wash cycle. Air dryer is separate from the washer that dry your clothes 85 % so, very useful in the rainy season. It has a 3MM plastic cover with rat repellent chemical. The washing machine crafted with sufficient features and a pocket-friendly price range. To end on, The manufacturer provides a warranty of 2 years on this product. Inbuilt scrubber with lint filter. 3 wash programs make it efficient. Whirlpool Semi-Automatic Washing Machine has a 3 basic wash program namely, gentle, normal and strong. The Semi-Automatic Top Loading Washing Machine is 7 kg that good option for bachelors or small family with 3-4 members. 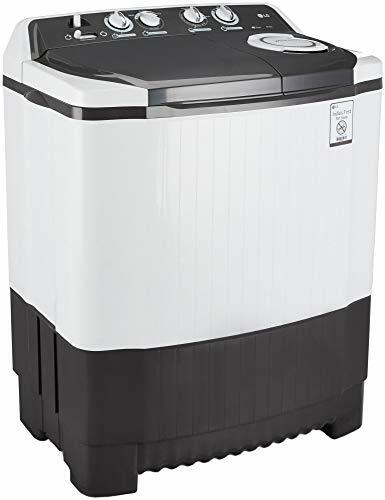 This washing machine also includes a multi-utility tray, roller pulsator and collar scrubber, large wash tub of 66 litres and super sock technology. The budget-friendly washing machine equipped with smart features. Gently wash with 340 W motor with 1450 rpm spin speed. This powerful motor sufficient to move the clothes in all directions and supply an accurate cleaning. Its waterproof and shockproof panel prevent a hazardous situation. Moreover, link collector effectively collects lint from the machine because of each and every time clothes come out clean and fresh. Nowadays, There are lots of washing machines brands and types so It’s a very difficult task to choose washing machine. Here We explain every topic you should consider while choosing the best washing machine in India. 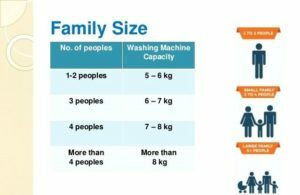 In Below table, you can find some good points for front load vs top load washing machines. More Expensive than Top loading machine. Cheaper than front loading machine. Soft on fabrics. Tough on fabrics. They use less water. They typically use a lot more water. Dryer times are often shorter. Dryer times are often longer. More Energy Saving. Less Energy Saving. They are less noisy. Most of them are noisy. They tend to vibrate, some more than others. Less vibrate than others. Read Depth article: front load vs top load washing machine – Which is the better one? There are two types of washing machine available in India. This type only comes with top loading washing machine. There are two tubes in semi automatic machine. one for washing and another one for drying. The disadvantage of semi-automatic washing is you have to move clothes manually from washing tube to drying tube. This type is less expensive and water saving. In fully automatic washing machine you don’t need to do anything. There is the same tube for washing and drying. You just need to load clothes into the tube and set washing program rest of the things washing machine do itself. If you are in the budget go with fully automatic washing machine. Washing machines are getting more advanced from time to time. There is a need to understand some latest tech used in washing machines before buying one. Autodose Technology: Don’t know how much detergent you should use in cleaning your clothes and frequently you end up wasting it. That is when this technology come here. With Autodose, your washing machine will detect the weight of clothes and will use the detergent accordingly. Daily Express Function: This function consumes less time in washing the clothes at full capacity. So, if you’re a person with huge to-do list then this feature comes in handy. Woolmark Apparel Care: Most of the washing machines doesn’t wash woollen clothes properly and you end up getting it damaged. This technology will solve the problem for you. Anti-Allergy+ Program: For all those who really take hygiene very seriously then you might like this feature a lot. This technology makes sure that the washed clothes don’t have any micro-evil giving you hard time. DrumClean Program: Washing machine is cleaning your clothes but who’s cleaning washing machine? Now, most of the models come with drum clean technology which gives a special hygiene treatment by rinsing it in water heated up to 70°C. Next step includes – Center Jet and Water pores. 5 Step Super Wash Technology: Samsung’s washing machine comes with what the company calls it 5 step superwash feature which cleans your clothes thoroughly using 5 steps. These steps include – deep soaking, soaking, stain dissolving, dirt separation and lastly deep cleaning. Hydro-Jet Washing Technology: This tech increases the washing efficiency of the machine and is generally found in Samsung’s products. A strong flow of water comes from the top of the washing machine and it streams down. This, in turn, pushes heavy and light clothes to the pulsator.